Must I buy a new or second hand kite? 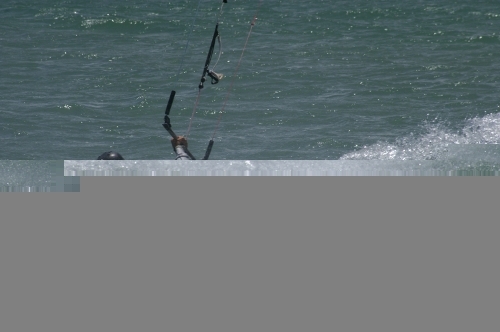 Kitesurfing looks amazingly difficult, however it is amazingly easy. Yes it helps to surf, and yes it helps to have windsurfed or sailed, but these are not requirements or essentials to learning the sport. 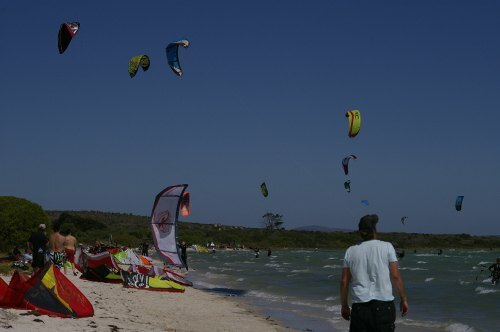 Now that we have this in mind, we need to start from a clean slate and remove all our pre-conceived ideas of kitesurfing, because this will only hinder learning to kite. Get practise with fly a kite, even a 1 metre stunt kite will do. Learn how it flys in the sky and feels. Getting the hang of this is essentially to understanding how a kite moves. As you have a bar instead of a wheel to manipulate movement and turn the kite, it takes a little getting used to. You will also notice the different power the kite harnesses when it is in different positions. Practise flying the kite above your head, to your left, right and directly in front of you. Feel how the kite increases its pull when you speed up the turns. Now try spinning the kite, doing figure or eights and complete squares. All the above practises will be outlined in the manual of the kite. Get practising on your core stability. Whether this is in the gym or in the park, the more core stability you have the easier you will find it to learn. You can do the plank in your own living room, try balancing on a fit ball, or simply standing on one foot. Get used to being pulled sideways. Whether you buy a skateboard, go wakeboarding or run up and down the corridor sideways, you will have to be used to moving left and right and not forwards and backwards. This common and natural instinct to go forwards in order to keep balance is one of the biggest walls to stopping people doing the difficult task of standing on a board. Get ready to be thrown about. Go to a swimming people and practise throwing yourself in the pool. Throw yourself backwards, upside down and every way you can imagine. Practise doing additional task at the same time like catching something or heading a football or doing a pose as you jump in. Whilst learning to kitesurf you will get thrown about a bit, and if you are not used to this you may be scared off too early. Actually book your lessons and do it. It can take ages to get going if you wait for the perfect time. Many people talk about it for a long time and do a lesson every month. You will never learn to master the sport if this is your attitude. Get stuck in and don't give up before at least 10 lessons. If you remain relaxed and open to learning you will get the hang of it sooner or later. Once you get past the very basics, it is very easy to progress. So stay committed. Remember, the most committed wins! Activity Holidays & Cheap Diving Holidays - Click for the latest news and reviews on all the top brands and companies. 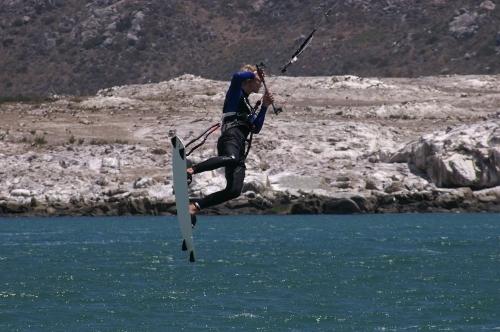 Your one stop shop for adventure adventure sports such as scuba diving, kitesurfing, surfing, windsurfing and more. All reviews created by the active users.